AFL general manager of China, David Stevenson, who is also project managing the AFLX tournaments, told AFL.com.au the new format will give the League a chance to showcase a range of new initiatives. "We're doing a lot of stuff on fan experience, so that will be really different from a normal game," he said. "This is unchartered territory, so we get a chance to do all the things that you wouldn't normally do at a normal game. With six teams, we're going to try and have set areas and bays for each of the clubs. They still get to be within their club but we'll have a great visual of colours in club areas." Hindmarsh Stadium in Adelaide and Allianz Stadium in Sydney have rectangular fields, so logistically there won't be too much alterations needed ahead of February. However, Etihad Stadium will require a little more work, with the stands to be moved inward to create a rectangular pitch. "It will go into the soccer configuration like when Melbourne Victory play at Etihad Stadium," Stevenson said. "It'll take a couple of days to put it all together, including temporary walkways, which will go in. It is such a great experience for the fans to be so much closer to the action so clubs are really keen." Logistically, there are still some plans to be ironed out with a lack of permanent changerooms at the three venues available. With six teams playing at each tournament, the AFL will need to create some makeshift changerooms to accommodate each team. Stevenson is confident the League will find viable options, but has urged clubs to be flexible on match day. "It depends on the venue, some are easier than others, as some have a number of extra spaces there already," he said. "At Etihad you have the warm-up changerooms as well but we're going to have to have a bit of flexibility from the clubs, because none of the stadiums are going to have six fully built permanent changerooms. "If we're up front with the clubs, and say it's just the reality, it's not perfect, generally the clubs are pretty good. The way we're trying to do the fixture, will make sure there's enough room for warm-up areas as well." 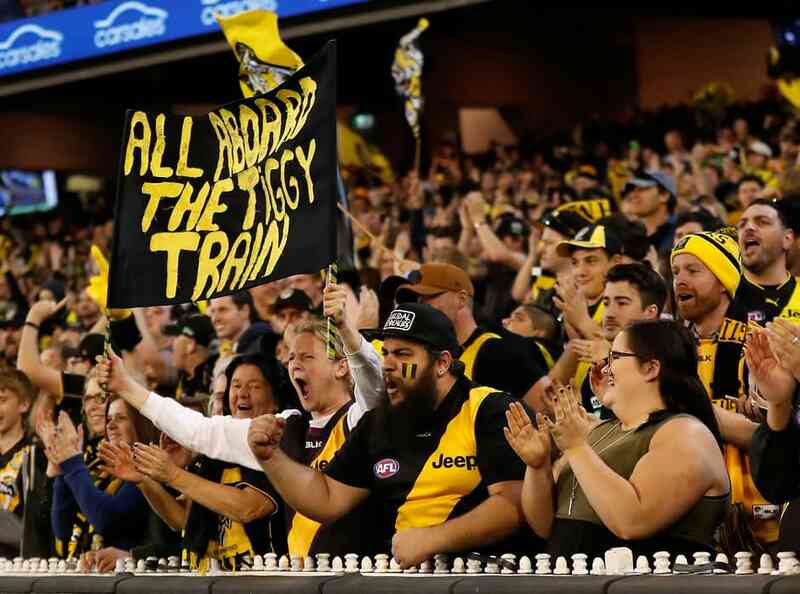 A broadcaster for the AFL's new high-octane game has yet to be locked in, but the League is hopeful of making an announcement by mid-January. AFLX kicks off in Adelaide on February 15, before heading to Melbourne and then Sydney.